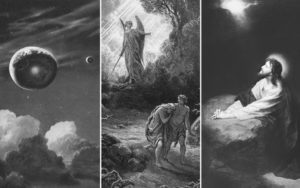 3. the atonement of Jesus Christ. Here are various scenes where we find these 3 pillars to be of use. 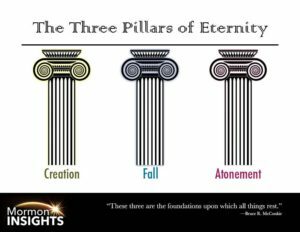 These are analogies which help us understand these pillars. I view the original pillars to be factual accounts, not purely symbolic, though here we will consider various symbols. Let me know of more you think of! 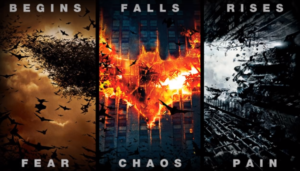 3. episode 3, Batman rises by pain. 2. The student fails in obtaining all of his ambitions as he seeks to balance work school family life and his various passions. He is saddened by his inability to learn all things and help all people at the present time. 3. The student relinquishes various academic aspirations and performs in a specific field, trusting that someday as time goes on, his heart will find knowledge, and he will somehow make a significant contribution to human kind in the various ways his heart feels to serve. He finds hope in religion which promises that he eventually shall obtain all knowledge and all power to serve others. 3. The man becomes temperate and charitable, and is a legend among his people, playing a large role in the redemption of his posterity. He is not perfect but he knows that as he continues improving he will become a God in eternity, and gain the title which is the highest: Heavenly Father.